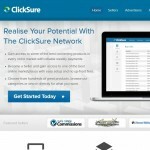 “ClickSure” by ClickSure Payments Ltd, found at clicksure.com, is a payment processor for the worst internet marketing programs that even Clickbank won’t touch with a hundred foot pole. ClickSure, through guilt by association is therefore a scam of epic proportions. Hundreds and hundreds, if not thousands, of angry victim complaints can’t be wrong. ClickSure runs their operation out of China and Mauritius, far and safe from U/S/ prosecution, as many internet marketing scams are run from non-extraditable countries, so it is difficult for U.S. agencies like the FTC to go after them. Of course, that amount will be remarkably higher than what you think you paid. Make sure you get an attorney that specializes in international law, particularly the two countries listed above. It is almost impossible to tell what companies run out of Mauritius since they are a secrecy jurisdiction country that does not require that a company’s ownership be put on public record, among other nefarious practices. Be very careful when looking for internet marketing products and search for the Clicksure logos, Clicksure Networks emblems or associations with any scam products and avoid them when you can. Clicksure is such a disreputable scam company the most watchful credit card companies will alert you of fraudulent activity if they fly on their radar. Some of the grievances lodged online include not only overcharging, but also declining commissions earned so ClickSure can keep the money, as well as other fraudulent practices. ClickSure is as bad as they get. DO NOT ENGAGE in any ClickSure products. I mean it. Worst payment processing scam ever.